Camping/Accommodation: There is accommodation available in Mullingar. Not many options for camping on the south side of the trail, possible on the canal. 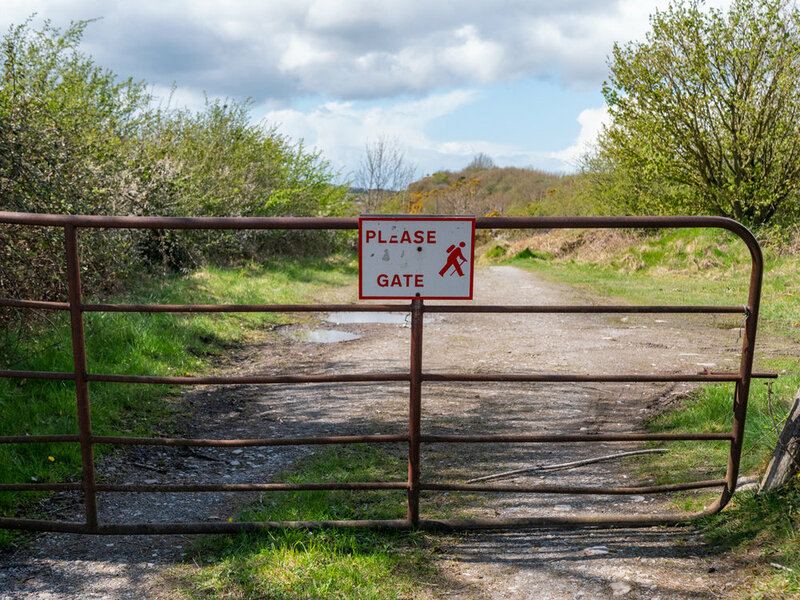 Currently the trail is split in two - the north side from Mullingar is open as far as the Ladestown Carpark, and the south side is open from Kilbeggan to Dysart. Having walked the canal before as part of the Royal Canal Way, we opted to walk the south section of the route. As the shortest trail left on our list we decided to tick it off while we were close by, taking a short break for Carl's birthday in Roscommon. One of the main things we were excited about was getting to try out Carl's new camera, and compare it to the footage we've been shooting so far. The camera is a Sony RX100 mk 3, one of the best compact cameras weâ€™ve seen. A few years ago Carl had the mk 1, and had loved it, so he was excited to try out the newer model. Kilbeggan itself is a nice village, with a whiskey distillery there looking particularly pretty. If weâ€™d realised there was a distillery there we might have tried to arrive earlier and take a tour, but for now we happily admire it from a distance, and then walk on. 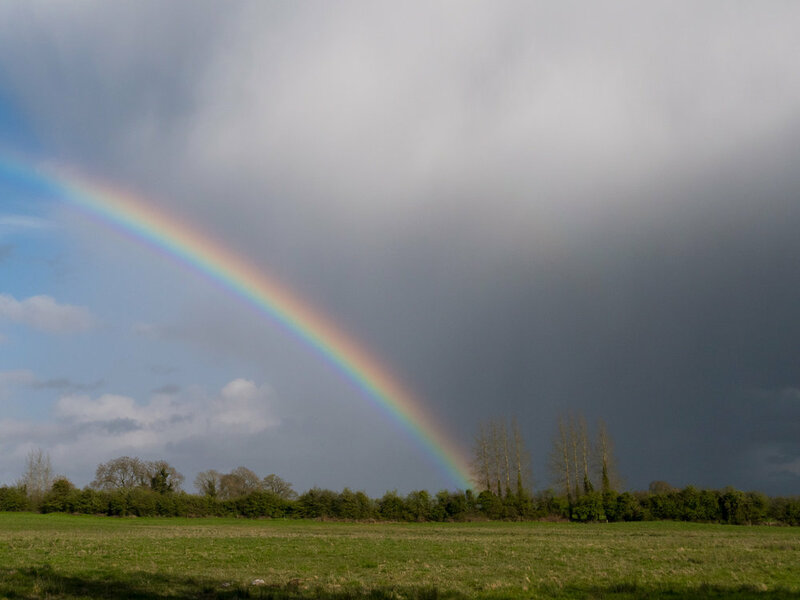 Being the end of April, but feeling like the start of spring, the weather was all over the place, and we experience rain, hail and sun within 5 minutes of each other. Taking a side road out of the town, the trail pretty quickly joins the river bank and we find ourselves walking along a lovely embankment, something I assume was built around the multiple mills and weirs in the area. To be honest, our hopes for this trail hadnâ€™t been particularly high, and our moods lifted as we wandered beside the water. 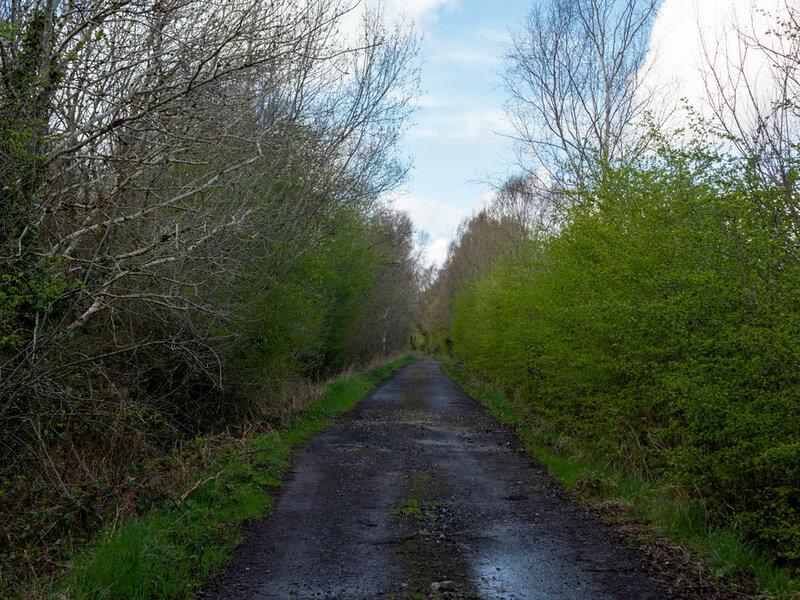 After a while we do end up on road and spend quite a while fighting off some rainy showers, walking this long section up to Lilliput Adventure centre on the shores of Lough Ennell. The centre itself hasnâ€™t opened yet for the summer season, so we huddle on a bench and pet a friendly dog thatâ€™s come over to say hello. As we walk down to the lake shore stormy clouds roll in, and the sky opens for a particularly long 10 minutes, drenching us, and then moving on. From the lake the trail heads to Dysert, a small cross roads, and we cross some nice fields and small lanes to get there. At one point we share our walk with two donkeys and a Shetland pony. Shaking off the last of the raindrops we come out in Dysert at a small stile in a wall, see the info board that marks the end, and feel a wave of relief. While sections of this trail were enjoyable and interesting, in general it felt a little lost and without purpose. With the middle section closed, the trail spends almost no time on the Lake, and I think that may have once been itâ€™s main attraction. Iâ€™m glad for us to have stretched our legs, and happy to have marked another trail off. On our way back to Carl's family's home (for some more birthday cake) we looked at new maps and counted kilometres, itching to get back living on the road. The long winter was coming to an end, and while the short trails are nice and easy, it wasn't much fun heading out and walking them just because we felt like we had to be making progress. We chose the Grand Canal as our next target, and started printing the maps. Carlâ€™s camera was great to have along - the video from it is much smoother than from my camera, so itâ€™ll be interesting to see how we combine both rolls of footage on the trails to come. Here's our video of the trail!